If you’re looking for longer lashes in a flash, Flash Eyelash Serum just might be the way to go. With an ophthalmologist-tested, conditioning formula, Flash Eyelash Serum promises results in two to three weeks with a once a day application. That’s shockingly quick for an eyelash serum, but can it really deliver results in a flash? Let’s weigh the pros and cons to see if Flash Eyelash Serum can really provide quick results – and whether it’s worth your time and money. This serum is safe for sensitive eyes and contact wearers. As always, be sure to use caution when applying because even though it’s safe, you don’t want to get it directly in your eye. That shouldn’t be too difficult, though, with Flash Eyelash Serum’s applicator brush that features a pointed tip similar to a liquid eyeliner wand. Another thing we like about the packaging is its clear container, which means you know how much product you have left as you use it. A 2 mL bottle lasts about three months, but it never hurts to be able to see when you’re getting low. Within those three months, Flash Eyelash Serum also promises a 90-day money back guarantee. We like that the guarantee shows Flash Eyelash Serum stands behind its product, and it doesn’t make buying this product as much of a gamble. You may not even need to use the money back guarantee, though, as long as you’re looking for a conditioning lash serum that adds length and curl to your lashes – but not expecting lashes that are dramatically thicker. Flash Eyelash Serum certainly delivers longer lashes, and as an added bonus, you will see a curl to your lashes as well. We like that this means you can put down the fake lashes and eyelash curler, which might’ve been causing damage to your lashes, anyway. Flash Eyelash Serum also promises you won’t need to use as much mascara—if you choose to use any at all. Of course, no lash product is perfect, but we don’t see too many downsides to this serum. There is really only one negative to consider when it comes to Flash Eyelash Serum. If you’re looking for a product that makes lashes fuller or darker, this may not be for you. The serum does provide great results with lash length, but your lash volume will likely not be affected by using this product. 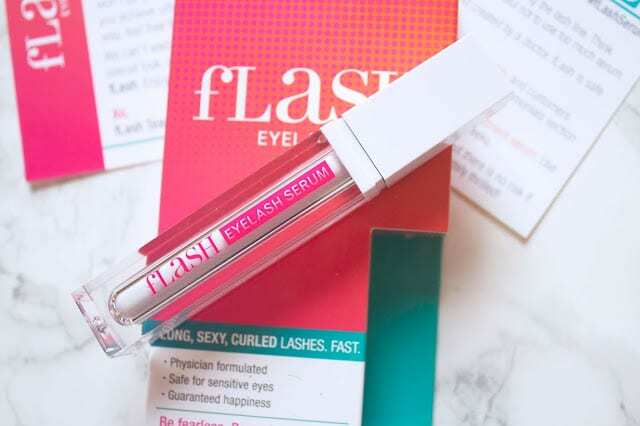 For likely results and a lower price tag than other lash serums, Flash Eyelash Serum is definitely worth a shot. For around $37, you get enough product for six months. Just a heads up: Amazon has the lowest price so head straight over there to immediately save around $15 off Flash Eyelash Serum’s regular price. 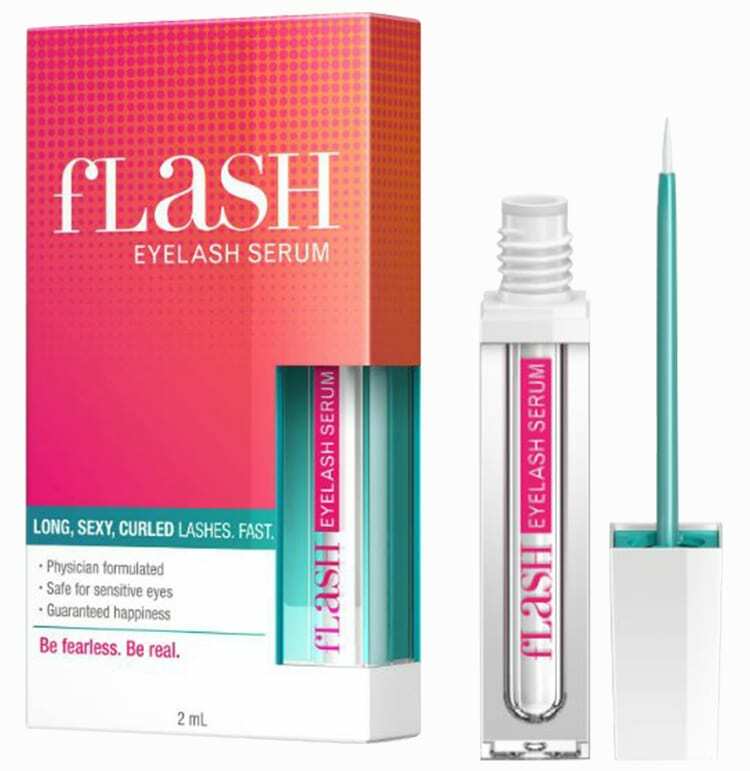 I have been using Flash Eye Lash Serum, I find it really good and have dropped back to using every 2nd night.